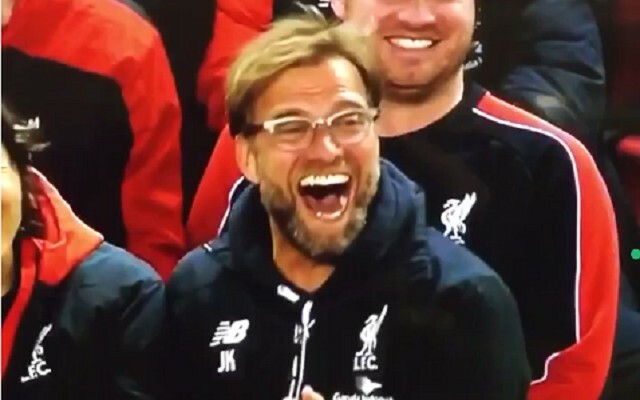 Jurgen Klopp is set to be reunited with a very old friend of his this Wednesday night, with the Liverpool boss meeting back up with an old teammate and colleague of his when we face Huddersfield in our next friendly. Klopp produced a photo during an interview to show just how far he and Huddersfield Town boss David Wagnar go back, showing the young pair partying together in the 1990s. The two were teammates at Mainz 05 over two decades ago, and then became colleagues at Borussia Dortmund – with Wagner managing the Bundesliga side’s B team. To top it all off, they moved to England to become managers of Liverpool and Huddersfield respectively at almost exactly the same time, and will now meet on Wednesday night for the first time. Unless an FA Cup miracle happens or Huddersfield manage to get themselves promoted, this is likely to be the only time they’ll meet too, so the pair will no doubt be relishing the prospect. During an interview with Liverpool’s official website Klopp insisted that Wagner was one of his best friends, producing the snap as proof. “David Wagner is one of my best friends, maybe my best friend,” Klopp explained. “This is David [points to picture]. If you see him today you cannot believe that’s him and that’s me! I have a cigar in my hand but that was after the game. He told the story of how both men revealed to each other that they’d received job offers from England, and highlighted just how superb of a manager Wagner is. “In this business, with your best friends you have to keep a few secrets,” he continued. While the two are obviously great friends, you can guarantee they’ll both be doing everything they can to get the win on Wednesday night, even if it is just a friendly. It’s always great to see managers who get on well and have such fantastic respect for each other, and the knowledge both managers have of the other should make Wednesday night a wonderful spectacle.